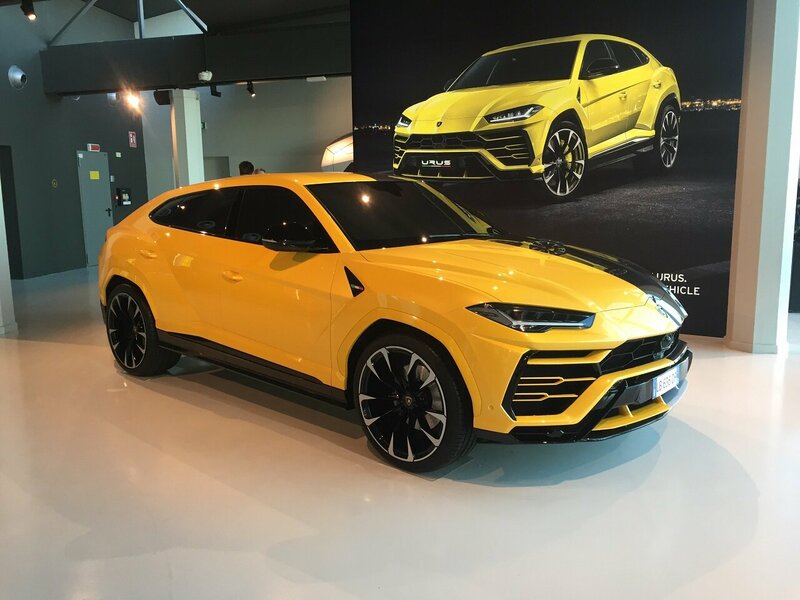 Italian Factory Motor Tour organizes the Lamborghini Factory Tour and the Lamborghini Museum Tour and offers you the chance to visit the Museum and the Factory of the “Mecca” of Luxury Sport Cars. The visit to the Lamborghini Factory due to the high number of visitors depends on the availability of bookable place. 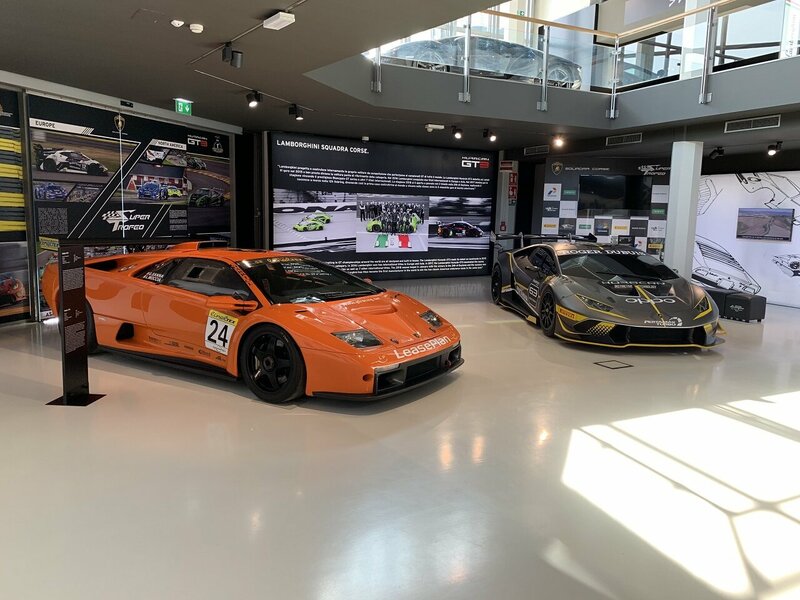 The LAMBORGHINI MUSEUM, inaugurated in the 2001, is located in Sant’Agata Bolognese, in that tiny triangle between Bologna and Modena, fitting defined as “Terra del Motori” (land of motors). 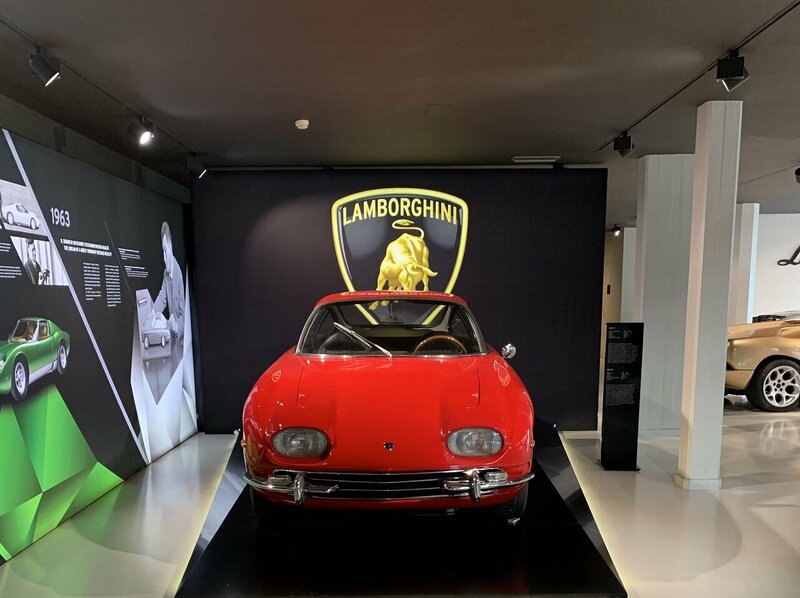 The Museum opened in 2001 as a sign of Automobili Lamborghini’s commitment to celebrate, with the new millennium, a new breed of dream cars. 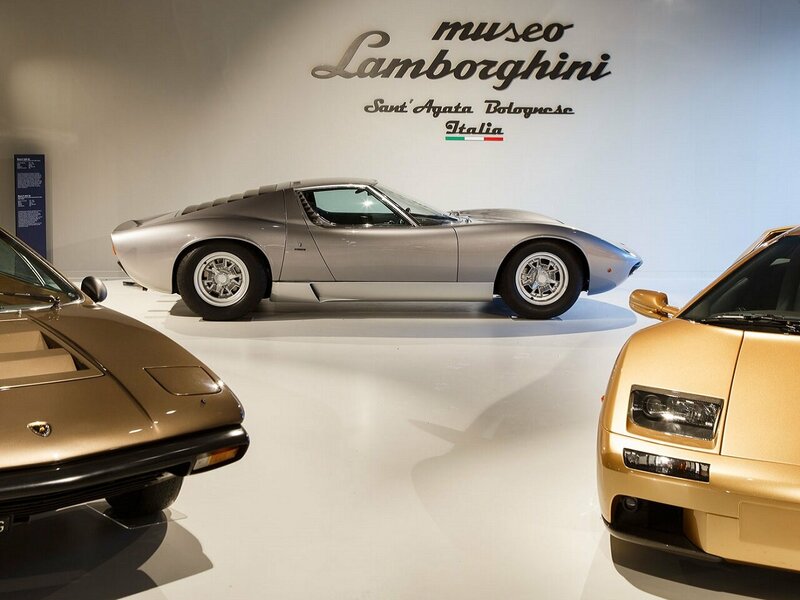 At its side gallops a broad collection that includes the Miura S and its iconic “eyelashes”, the 350 GT, the Countach S, the Jalpa, the Espada, the Sesto Elemento, the Reventón and the other exclusive supercars that have turned the Raging Bull into a legend. 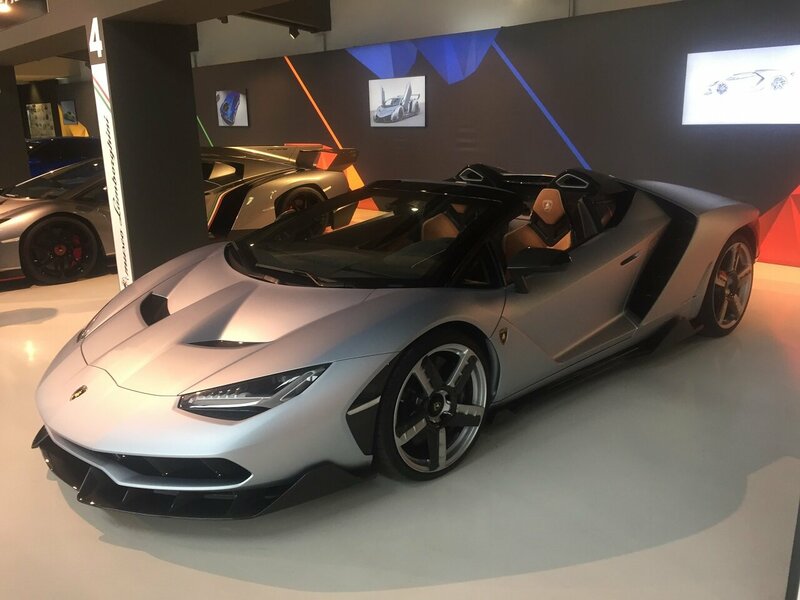 Insade the 2.000 square meters of Lamborghini Museum, you will discover all the threasury cars, like parts of the LP Engine, Cards about the production of the first cars and information about the actual production. 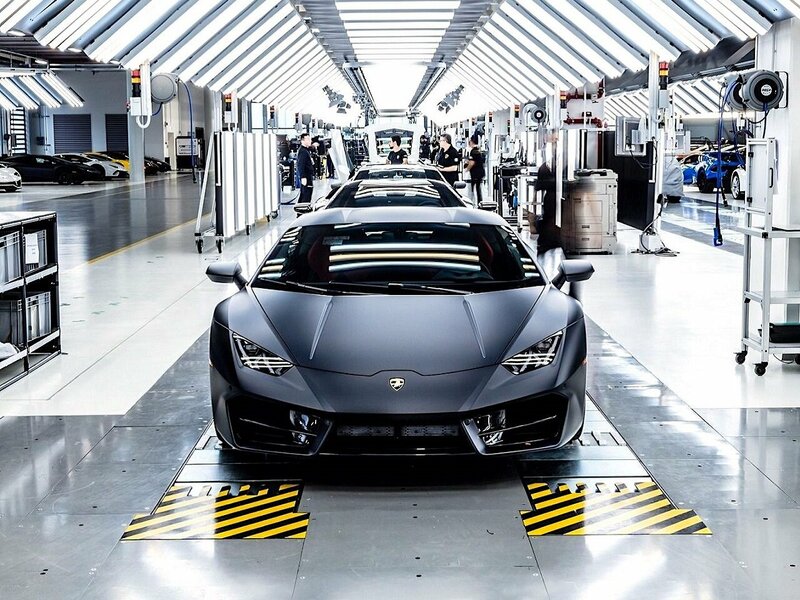 You can also have a tour of the LAMBORGHINI FACTORY and assist the production of Lamborghini's cars. All this elements make the visit at Lamborghini a unique experience.